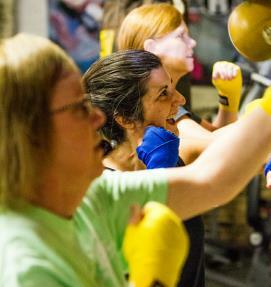 Our HOPE with Boxing program - for people diagnosed with Parkinson's Disease - at Wolfpack Boxing Club in Pittsburgh is helping people with Parkinson's disease fight back! The benefits of a non-contact boxing workout is widely known. Research has shown that regular boxing exercise improves balance, walking, endurance and overall quality of life. And...we have a LOT of fun! We provide H.O.P.E. 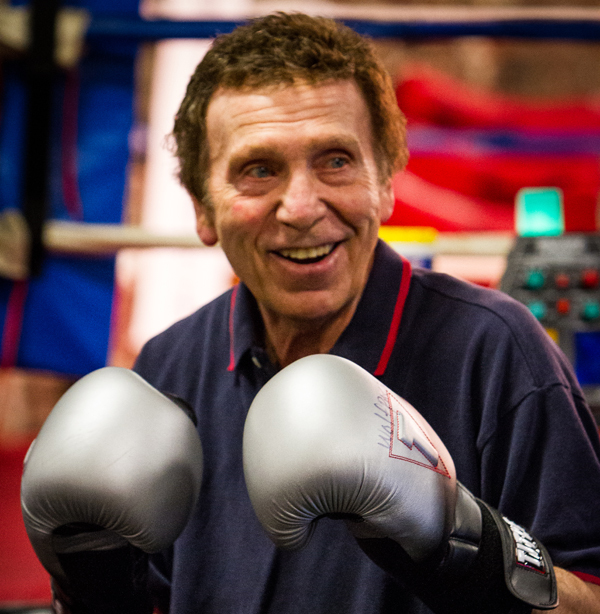 (Helping Overcome Parkinson's Everyday) through boxing! In these classes, students will learn how to throw a variety of punches and hit heavy bags, work on developing footwork for balance and agility, hit the mitts of an instructor (who won't hit back) with different punches to improve their coordination, they will yell and count their punches to strengthen their voices and they will stretch to counter muscle rigidity. They will also jump rope and do core exercises and circuit weight training to strengthen their muscles. Our classes are divided into different levels based upon each person’s unique Parkinson’s symptoms and overall level of fitness. We require all potential boxers to complete an assessment with one of our Coaches to determine the class placement that would be of greatest benefit to them. We offer classes 6 days a week! Our coaches were certified by Rock Steady Boxing in January 2017! Please call our facility for more information or view our class schedules and membership rates. There is a $25 assessment fee for your personalized, one-on-one assessment with a Rock Steady Certified Coach. Please call 412-335-2419 to schedule your assessment. 1) Physician Verification and Medical Release Form (to be completed prior to joining, but not necessary for assessment). "You are NOT alone in this fight! We are here to help."